We are excited to announce our 2018 Summer Dance Camp for ages 4 & up! It will be held the week of July 16-19th. The 4-6 age group will have one hour of class each day, Monday-Thursdayfrom 3:30-4:30pm. The total cost for the 4-6 age group is $65. The 6-8yr, 9-11yr, and 12 & up age groups will have three hours of class each day from 4:30-7:30pm. The cost for those age groups is $140. We have planned a great variety of classes for the entire week, and it will be a perfect way to try out different dance styles. Dance styles will include Tap, Jazz, Lyrical, Contemporary, Modern, Ballet Progressions, Improv, Pilates, Acro, Musical Theater, and Hip Hop. To sign up, either visit us at the studio 911 Washington Blvd, Suite 201, call us at (916) 532-7699, or email us at pdcroseville@gmail.com. We look forward to dancing with you this summer! Throughout the year, we invite guest master teachers to PDC to expose our dancers to different styles and current choreography. Our most recent Master Class was held on June 16th with Stacy Walker. Ms. Walker is an influential contributor to the modern evolution of dance arts across multiple media, including stage, film & television, advertising & branding, and the music industry. Her credits, which include international icons from Michael Jackson and Lady Gaga to Target, Disney and Universal Pictures, are a dynamic body of work underscoring her unique contribution and dedication to forging real connections through the language of dance. Ms. Walker worked closely with choreographer Travis Payne as a dancer and associate choreographer in various Michael Jackson collaborations including the Ghost video, the History World Tour, and the This Is It Tour and Film. PDC was very fortunate to have Ms. Walker at our studio on June 16th. 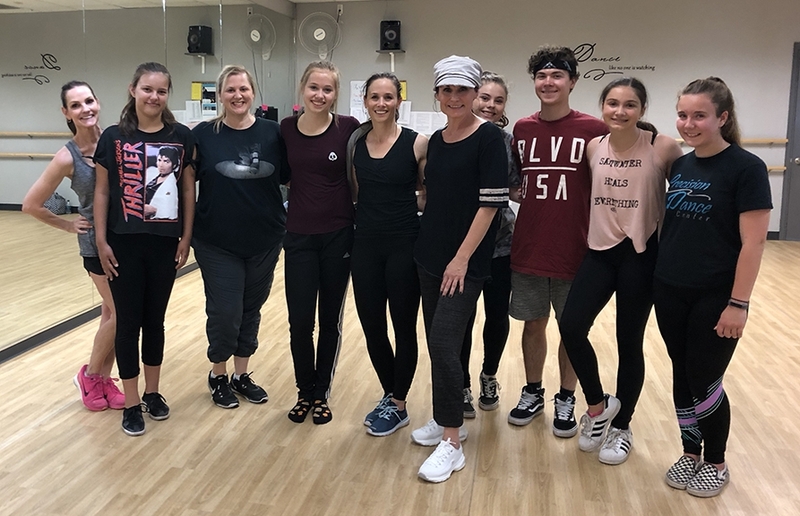 She taught actual choreography from Michael Jackson’s tours as well as hosted a Q&A session for tips on auditions and working in the professional dance community. Stay tuned for new Master Class opportunities coming soon! 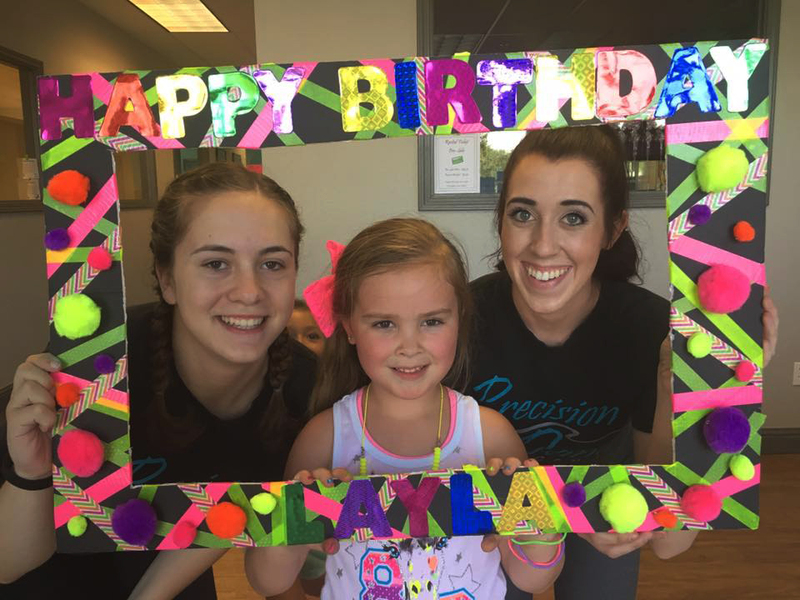 Come Celebrate Your Next Birthday at PDC! - Birthday Child receives one free month of dance lessons (For new students only, valued at $68). - Current students having a Birthday Party will receive a special gift instead. Contact us at pdcroseville@gmail.com to reserve your Party today!! We have an exciting reward program at PDC for referring dancers to the studio. For every dancer you refer who registers and signs up for classes, you will receive a $50 credit toward your next month’s tuition. This promotion will run the entire year and there is no limit to the number of friends you can refer. If you refer a friend to the studio who purchases the Groupon Ad, you will still earn your referral credit of $50! You will be able to use your free month after the new student has paid for a full month of tuition at the regular price. Thank you again for your referrals! PDC is truly a family-oriented studio. Every year at our June Recital, we offer a fun performing opportunity to our dance parents. We have both a Mother-Daughter dance and a Dancing Dudes performance! We offer these opportunities free of charge for our dance families, and it is an exciting way for everyone to share in the art form that we all love so much – dance!